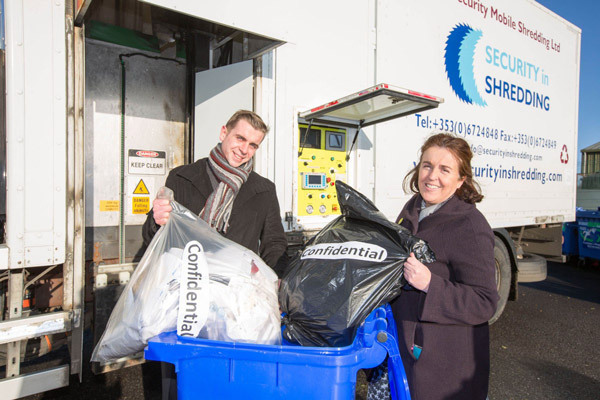 To Celebrate European Data Protection Day Security in Shredding whom are Data Destruction Experts, are holding a Free Shredding Event in Mungret Recycling Centre in Limerick in conjunction with Limerick City and County Council. You may ask why is the event free? To answer your question, we aim to increase the importance of Data Protection Awareness by running this event. All shredded paper material will then be recycled resulting in reducing the amount of paper waste entering landfill. Security in Shredding will also be available to speak to SME’s about the importance of implementing a “confidential paper shredding service and improving staff awareness and risk identification as they are of significant importance to any organisation”. This entry was posted in Data Protection, Data Protection Day, Onsite Shredding, Product Destruction, Recycling by Security in Shredding. Bookmark the permalink.